[S2] Birth Indexes, (Ancestry.com), March 1868 Greenwich 1d 803 (Reliability: 2). [S2] Birth Indexes, (Ancestry.com), June 1865 Greenwich 1d 660 (Reliability: 2). 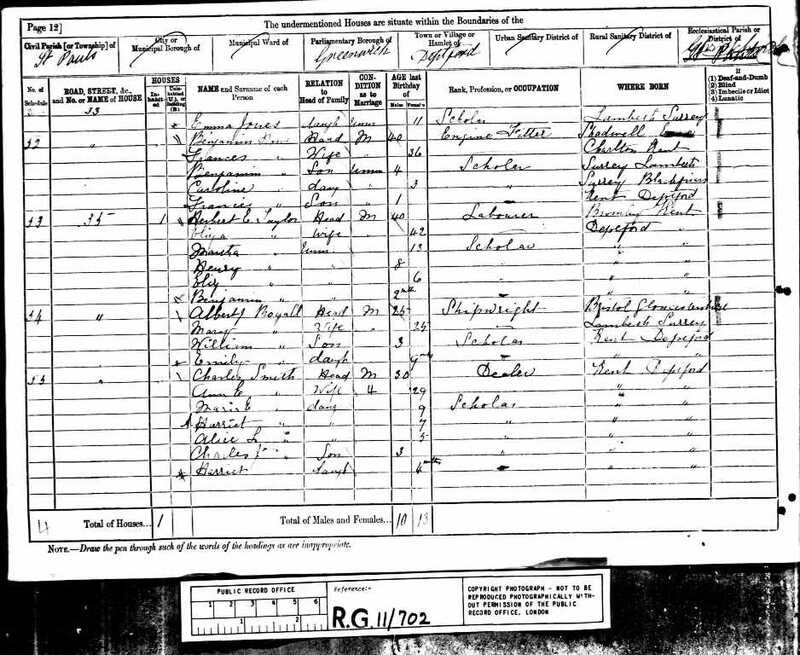 [S4] 1871 Census, (Ancestry.co.uk), RG10., RG10/750 Folio: 8 Page: 9 (Reliability: 2). 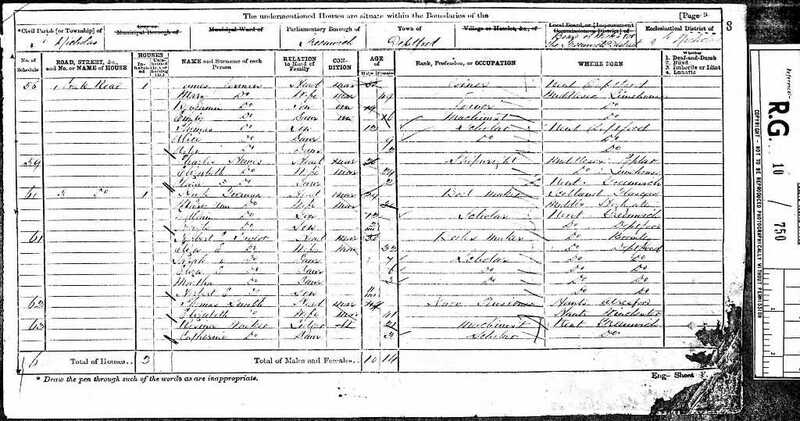 [S38] 1881 Census, (Ancestry.co.uk), RG11., RG11/702 Folio: 72 Page: 12 (Reliability: 2).